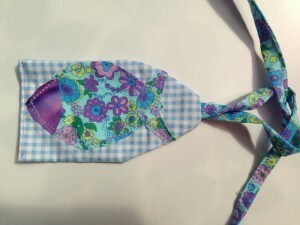 This entry was posted in Crochet, Diary of a Crafty Fairy!, Making Stuff and tagged bag making book, crochet, Granny Squares, handmade monday by patchworkfairy. Bookmark the permalink. 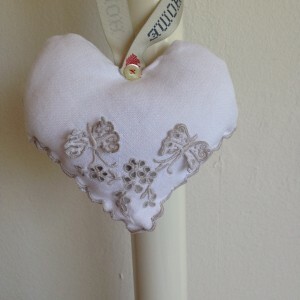 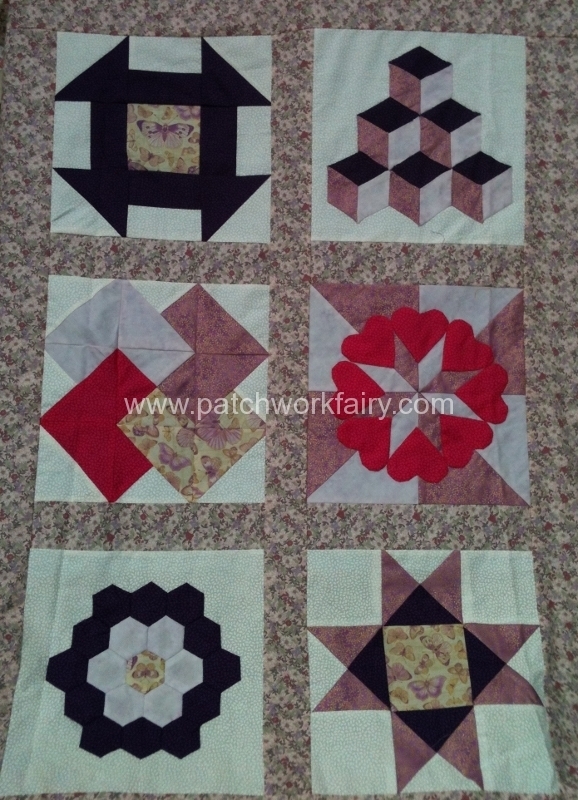 Have fun with your new sewing machine, you will be whizzing up bags in next to no time! Your crochet square pile is getting bigger. 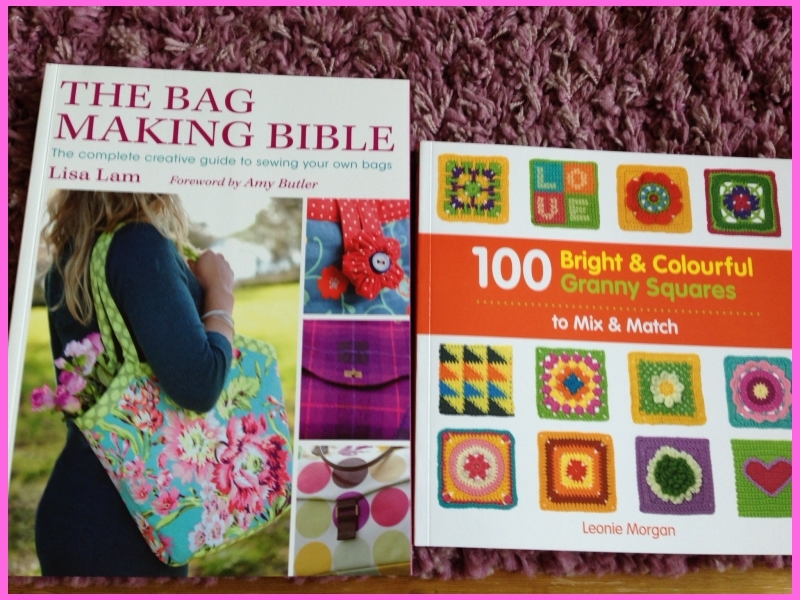 Love the colourful granny squares, new books are always so exciting finding new projects to try. 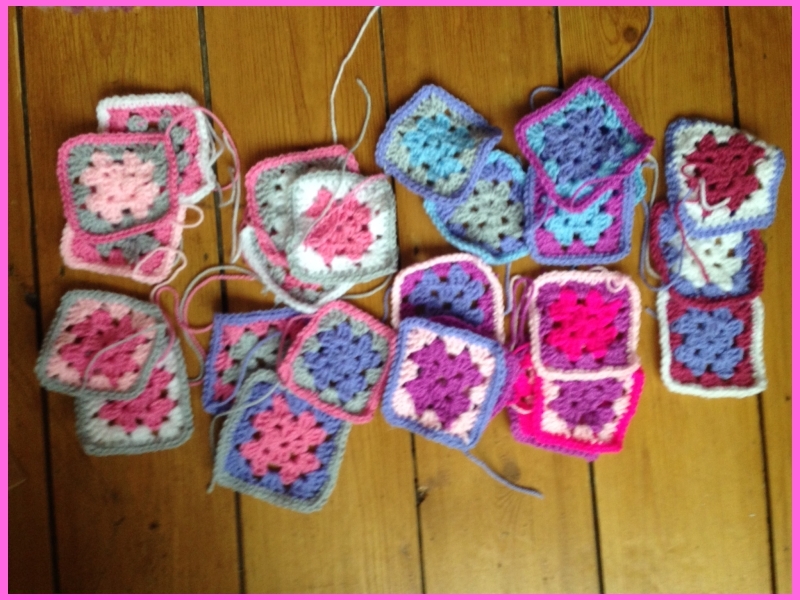 I love my sewing machine, I’ve learnt so many things just playing with it, and I love the different colours of your granny squares. 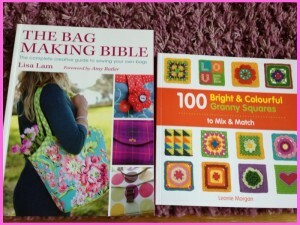 enjoy your new books – hopefully they will bring you a lot new ideas for the future crafting.